Education Fund for Packaging by Design at Pratt Institute, which provides scholarships to masters-level students looking to pursue careers in cosmetics and packaging design. In celebration of this honor, Mary Kay is excited to share its innovation in product design technology. · What began in a tiny store in the heart of Texas with nine products, five color cosmetic palette and four-step skin care regimen, Mary Kay now offers more than 200 premium color cosmetics, skin care, fragrance, body, sun and men’s products. · In fact, in 2013 alone, more than 3 million compacts and more than 19.4 million lipsticks were sold. For more than five decades, Mary Kay has led the way in giving women what they crave. Always committed to evolving to meet women’s changing beauty needs, the company is constantly redesigning and modernizing to help ensure every detail of its products and packaging are relevant and contemporary. One facet of ensuring products stand-out is the packaging itself. Mary Kay excels in this category, typically sketching out approximately five to eight different concepts during the design phase to help ensure packaging is not only attractive and ergonomic, but the ideal delivery system for the product. Through all the milestones, one constant has remained: innovation. This is especially evident with two very recent and unique designs: Mary Kay® True Dimensions™ Lipstick and True Original™ Cologne Spray. The distinctive trim-line design of Mary Kay® True Dimensions™ Lipstick was developed to create a lipstick that would modernize the application experience. The same “clicking cradle” technology was used for the MK Men’s True Original™ Cologne Spray, with the whole cap doubling as a case. The attractive, yet functional, design was intended to be more durable and “gadgety,” essentially helping protect it from leakage or breakage. “Each year, when choosing an honoree for The Art of Packaging Award Gala, an emphasis is placed on brands that excel at incorporating creativity, aesthetics, sustainability and functionality in their packaging design,” said Marc Rosen, who teaches the world’s only course on cosmetics and packaging design at Pratt Institute and is president and CEO of Marc Rosen Associates. “When Mary Kay was selected as honoree for the 25th anniversary of The Art of Packaging Award Gala, it was for these reasons and more. Giveaway! In celebration of the gala and this award, the great folks at Mary Kay are offering my lovely readers a giveaway! 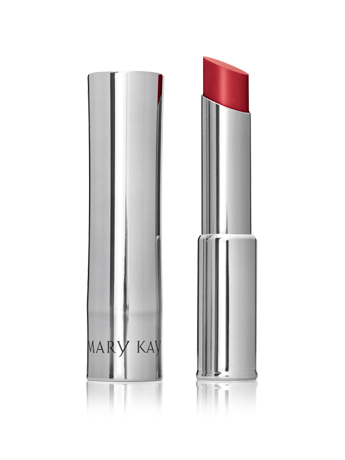 One Simply Sweet Home reader will win Mary Kay True Dimensions Lipstick. Disclosure: Review and giveaway products for this post were provided by Mary Kay. The opinions are my own. I would like the Mary Kay Ultimate Mascara in black! Beautiful full lashes. I’d love to try their ultimate mascara! I like the Iced Cocoa (Shimmer) Mary Kay® Cream Eye Color.